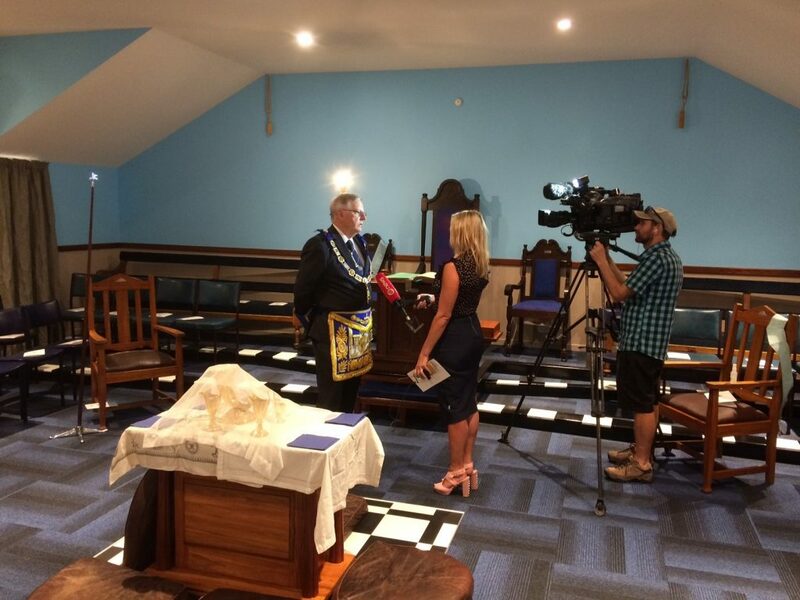 MWBro Mark Winger our Grand Master was recently interviewed on National Television (TV One News) about Freemasonry during the dedication of new Lodge Rooms in Woolston, Christchurch. 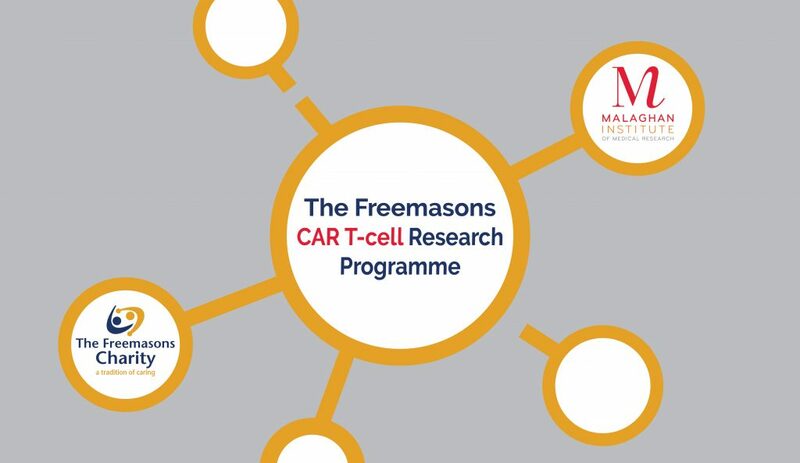 Freemasons in New Zealand are now getting better coverage in the national media, another great example being the Freemasons CAR-T cell Research Programme, if you have not already, you can read the media publication here. Click the image to the left to watch the interview! Speak Up! A phrase that is becoming familiar to us all and yes, we are becoming comfortable with the catch phrase. A catch phrase that is making a difference externally and internally to New Zealand Freemasonry. The first month of 2019 has finished and soon we will be saying “and what happened to the year”. To many of us it is the drawing to the end of our Freemason “active term” but to others it is the start of their Freemason experience all because someone “Spoke up”. Because of someone Speaking up, our loved Craft will prosper. In both situations that is being “active” and “joining” we all learn something new and, in the process, rub shoulders, enjoy each other’s company, grow and enhance our lives. In the month that’s just gone, our Grand Master dedicated a new Lodge Room in Christchurch thus starting the year in a Grand fashion. While the dedication of a Lodge Room is a very impressive affair it surprised and delighted the general public that Freemasonry is growing in our society and confident enough to build new structures. However, from that occasion another important management tool was displayed. Our Grand Master at the televised dedication recognised an opportunity to “desinit in momento”. He seized the moment and announced, the Lodge Rooms will be open the next weekend for all the public to see! Having not been advised of the forthcoming opening, the host brethren were stunned by this pronouncement, but they were delighted as it gave them an opportunity to Speak up and show off their new building. The following weekend was a great success. The public came, the public saw, and the public appreciated. There were no complaints, no voices of dissension and it was a good turnout of Canterbury folk of all ages and gender. Some, having seen the magnificence of the structure and the men manning it, knew the Craft was for them. 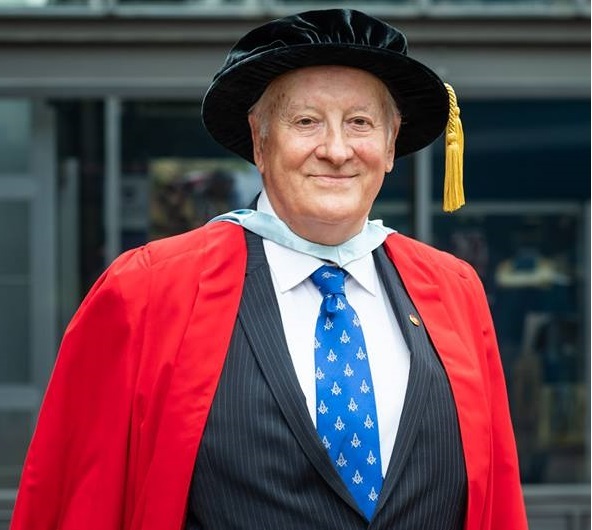 While the guidance from the Grand Master to speak up is excellent, his example of “Seizing the Moment” of when to speak up is just as important for it this combination and timing that gives the greatest impact. While this is a Canterbury success, there are other similar stories to Speak Up about in the Southern Division that will unfold as our new year races on. All will continue to strengthen our Division and strengthen our Team. Click the image to go to the page! At National Office we have seen a lot of content circulating using the ‘G' within the messaging. Freemasons New Zealand does not incorporate the ‘G’ in any of our branding. We realise this is happening because we haven't been supplying our members with enough content specific to New Zealand Freemasons. Therefore the Digital Library was born! The Digital Library is an area on our main website where you can find tools to help you 'Speak Up' in your communities and on social media. From printable posters, to logos, to social media posts - if you can't find what you need or have a request, get in contact with us here. Another big event recently announced was the $600,000 contribution to the Malaghan Institute’s research and development of cancer immunotherapy treatments based on CAR T-cell technology. The programme is named The Freemasons CAR T-cell Research Programme. Notice the key word here? Freemasons! Naming rights and recognition are an important part of projects big or small, remember to get the Freemasons name out there! 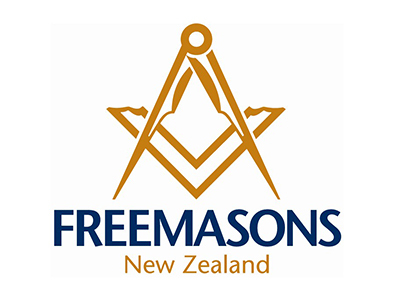 The United Lodge of Wanganui No 468 has thanked The Freemasons Charity for its support of some of their Lodge projects by making a $500 donation to the Charity. When you get a 1 for 1 subsidy from The Freemasons Charity you double your ‘Speak Up for Freemasonry’ by doubling your contribution. So get in amongst other local community organisations and remind them that Freemasons are still a vibrant and important part of their community. By ‘Speaking Up for Freemasonry’ locally, the United Lodge of Wanganui got some local publicity as well, being mentioned in four different newsletters circulating the area, a couple as shown below. 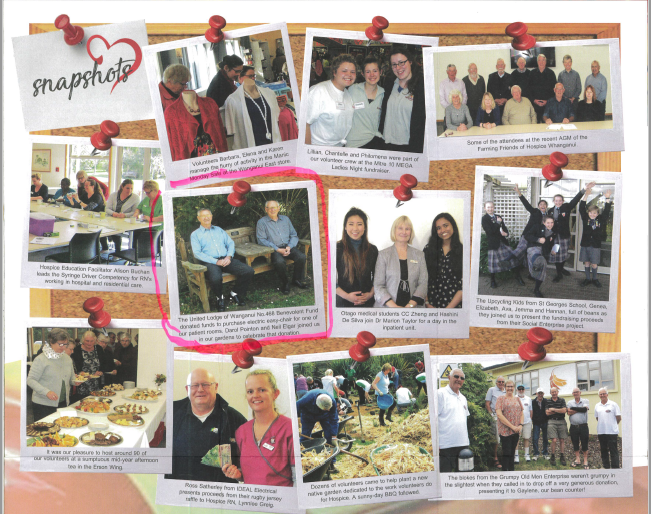 Snapshots from "Heart and Soul" newsletter by Hospice Whanganui where the Lodge was mentioned not once, but twice! 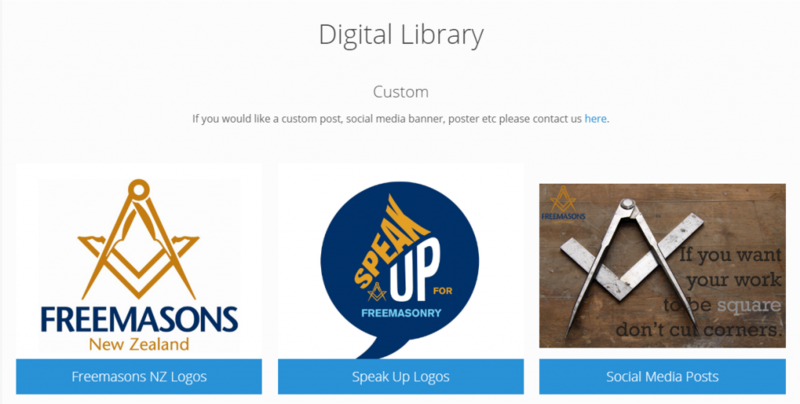 Freemasons Toolbox - Over 120 brilliant ideas for 'Speak Up' to use with your members, potential or returning members, and families and friends. 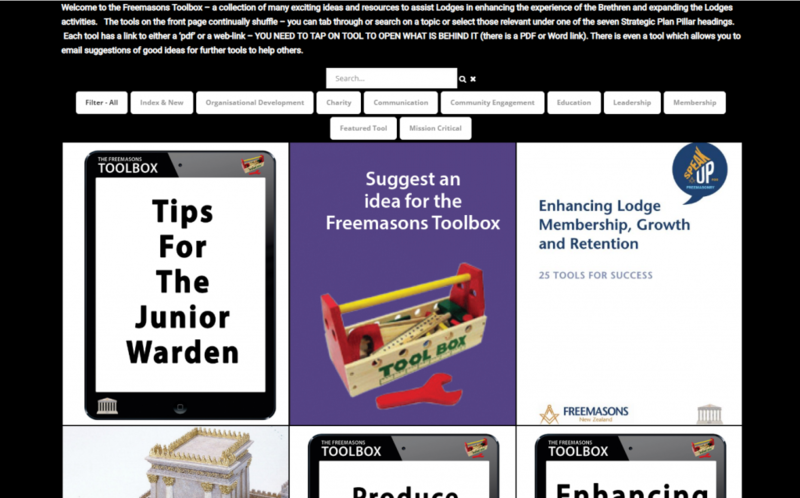 Look no further than the Freemasons Toolbox for a great idea. As members or Lodges, we are sure you can come up with a variation on a theme by brain storming those ideas as well. Click the image to go to the toolbox! Have you been speaking up?